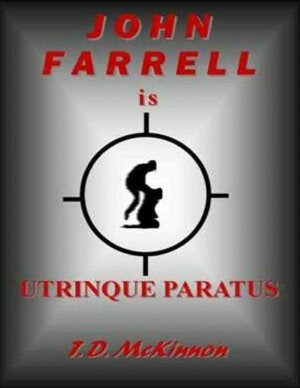 John Farrell has to be ‘ready for anything’ (Utrinque Paratus) as he is taken on a rollercoaster journey from his coalmining community origins in County Durham to Aldershot, the home of the British army, and to war torn Belfast; from London to the poverty ridden streets of Mexico City; from inside the infamous Wormwood Scrubs, to the South of France, to Glasgow, the Scottish Highlands, Berlin and Bangkok. Along the way, influenced by the evil men do, inadvertently it seems, John kills: in desperation, in fear, in anger, in ignorance accidentally. Does that make John Farrell a bad person? You decide! Orphan, boxer, soldier, convict, writer, fighter, loyal friend, protector, loving family man and killer. Killing is something not only evil men do. “So, what is it you want, Craven?” I say through gritted teeth. “Where’s this going, Craven?” I say attempting to cut him off, shifting uncomfortably as all eyes in the room burn into me. A little worked up by this point, I’m trying not to alert the villains in the room to the fact that I’m getting ready to kill Craven and take as many of them out as I can. Connie and James will have to take their chances; I send up a silent prayer for them. “What are you talking about, Craven?” and while trying to appear as compliant as possible: my movements slow and deliberate, I reach for a spare chair; stepping forward, I place it a couple of metres in front of his desk and slowly sit down, folding my arms with my hands inside my jacket. Inwardly coiling, I fill my fists with gun and knife; my mind calm before the storm. ‘You don’t know me as well as you think’.